Board index » Jersey City, NJ » Art & Entertainment » Support Local Arts! Vote for Nimbus & Art House for NJ People's Choice Awards! 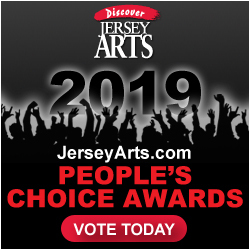 Please take a moment to support local arts groups and vote in the Jersey Arts People's Choice Awards! Vote for Nimbus: NJ's Favorite Contemporary Dance Company! Voting ends in 10 days... Support Local! Vote for Nimbus as "NJ's Favorite Contemporary Dance Company"